Today I’m testing the Zotac GTX 670, the GTX680’s little brother. 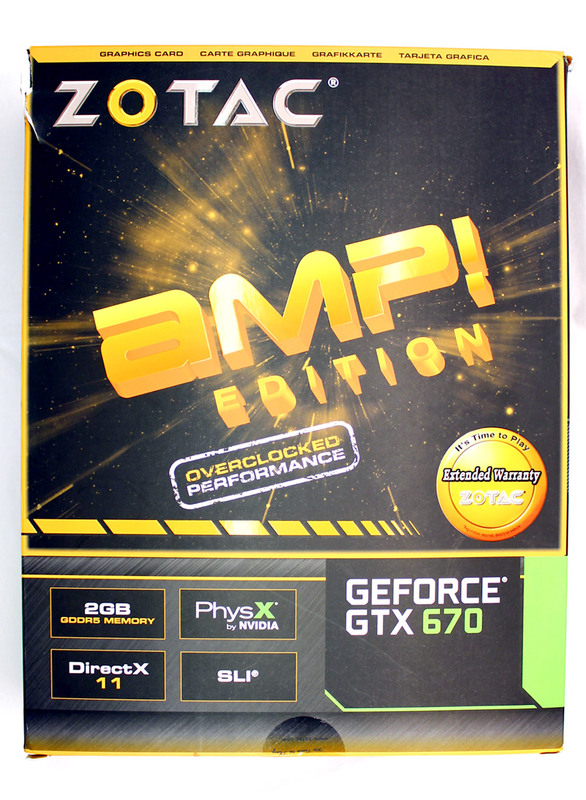 This version of the GTX670 happens to be the Zotac AMP! ; an amped up, overclocked, more powerful variant. Fitted with two large fans and massive heatsink, the cooler should do a pretty awesome job, but as with everything here, we need to put it to the test before deciding. 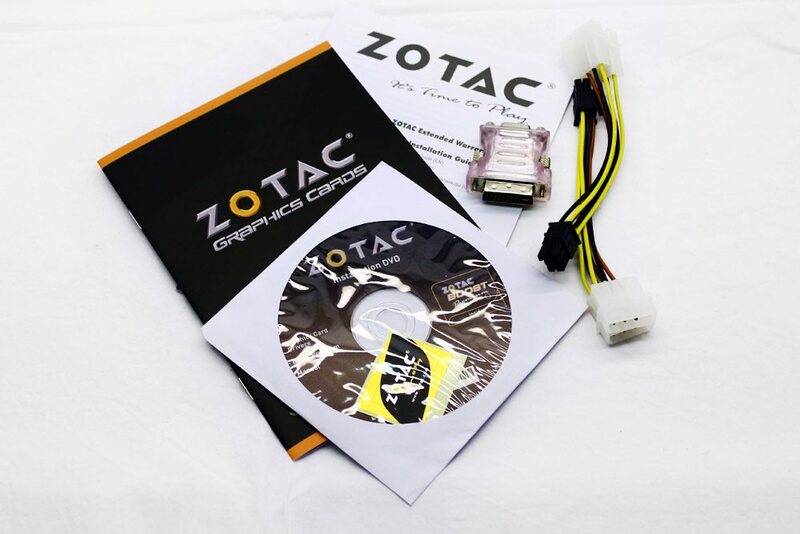 The Zotac GeForce GTX670 comes in an excellent Matt Black box with Glossy writing. A fairly basic bundle although if you’re an Assassins creed fan, I’m sure you’ll be pleased to see this.